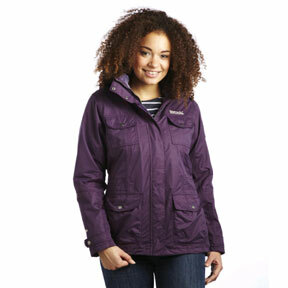 Regatta 3 in 1 jackets now available direct to your door from Outdoor Look. Order your Regatta 3 in 1 Jacket today and wear tomorrow. Zero Hassle returns. Versatility is the name of the game when it comes to Regatta 3-in-1 Jackets. A waterproof lined outer layer, with a separate fleece, which can be literally put together to combine the best of both to give you that third option to cover all weather conditions. The popular Regatta Defender III 3in 1 Jacket has a concealed hood in the collar, a stormflap with hook and loop, made from Hydafort peached poyester fabric offered as well as that inner fleece offers a good introduction to the benefits of 3 in 1. Whereas the Regatta Optimal Mens 3 in 1 Waterproof Jacket gives you extreme performance featuring Isorex XPT 100% polyester stretch with the latest durable repellent treatment, a combination giving you a fabric that is 30% more breathable. Other performance features include a detachable hood, underarm ventilation, adjustable cuffs and shockcord hem, and various secure pockets fro storage, making this one of the best Regatta 3 in 1 jackets to match any in today's marketplacet. With free delivery options and our continued excellent customer service, plus a comprehensive range to choose from, both on our website and our free catalogue, with respected brands available at the best prices.